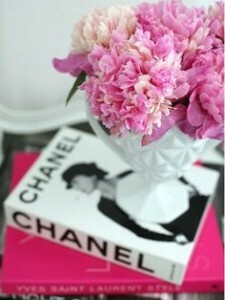 The constant quandary; how to decorate one’s tabletop. 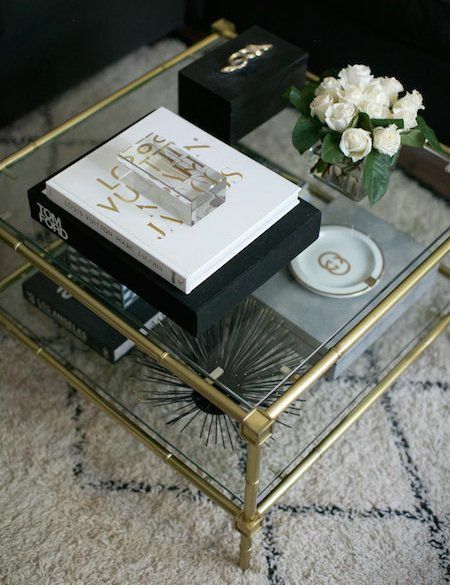 Are you constantly rearranging and shuffling your coffee table decor to find the right balance? For such a small surface area, this space is always the most perplexing. 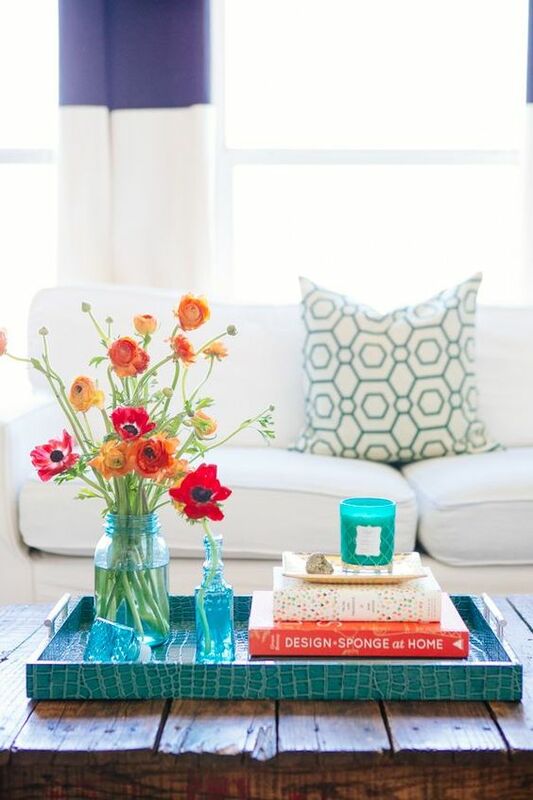 In this post, the Jigsaw Designers are addressing the coffee table dilemma with some simple tips to help you find the right balance. Tip #1 Books, books and more books! This is an easy one. ‘Coffee table’ books are easy to come by, make great gifts and you’re bound to have a couple laying around somewhere. 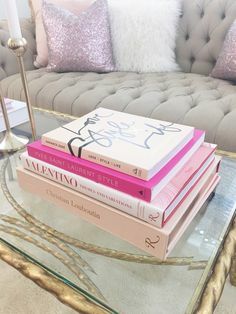 Use books to make a statement, express your personality, or simply be an accent color like for example the bold, Hot Pink book about Yves Saint Laurent. Serves two purposes: 1. color, 2. shares a bit of nostalgia with those who love the fashion. 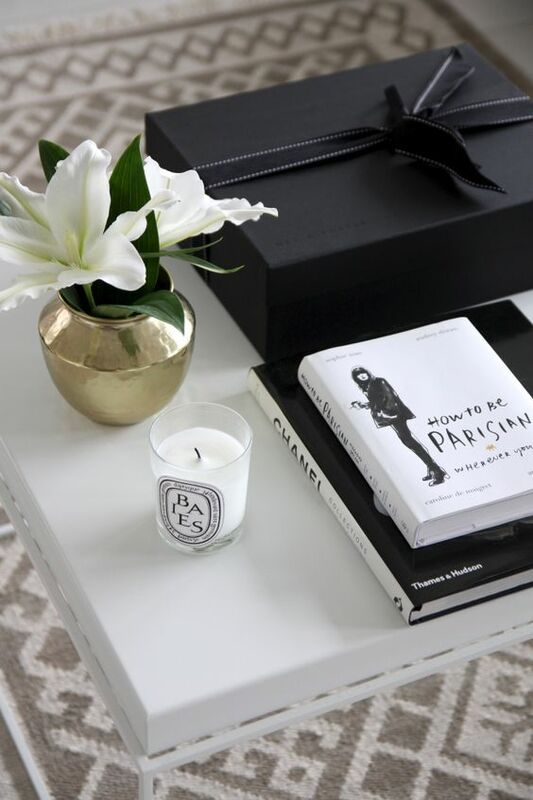 Stack books with a candle or small item on top, or several stacks around the table. If you have a two tier table, stack them top and bottom. Stack them on a tray in the center or off to one side. 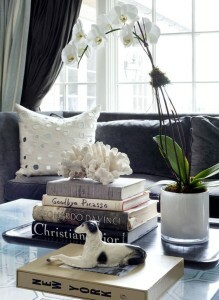 Tip #2 Add something natural like an orchid or flower arrangement. Succulents are hugely popular and there are even some faux plants that look rather real. We usually opt of the real thing, but sometimes a bouquet of silk peonies will do the trick. 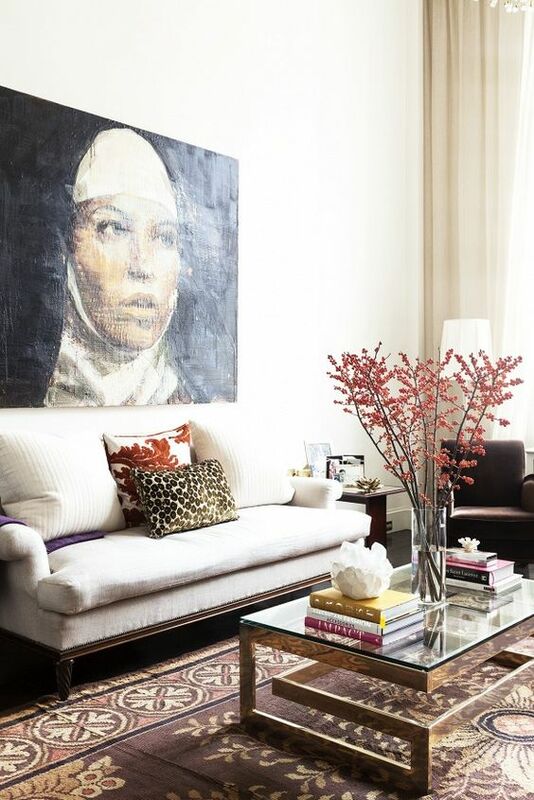 Tip #3 Add an element of surprise; an interesting sculpture, a classic obelisk or even a purple foot from Jonathan Adler. Whatever the case, make it quirky, and make it fun. Tip #4 Don’t even think about letting that remote control be seen. Even if its a college bachelor pad, No Remotes visible please. 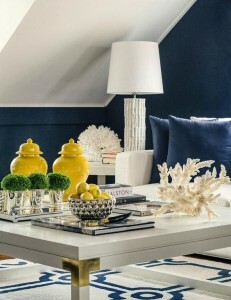 Due to an oversaturated market, a continual decorating conundrum is finding that perfect bed to rest your pretty head. Since the average person spends one third of the day in the aforementioned bed, and it likely getting more use than any other furniture purchase you may make… it should be perfect. Perfect in home style, personal style, size, and ,of course, comfort. Herein lies the quandary…so which bed is for me? 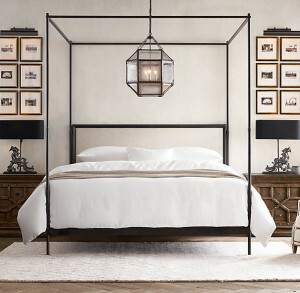 Am I a poster bed gal/guy like the Restoration Hardware’s 19th Century French Four-Poster bed above? 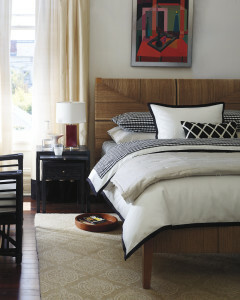 In this post we’ll explore just which bed category trends are most befitting of ourselves. 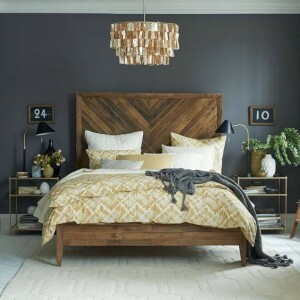 For those lovers of reclaimed wood, a couple options on the market come to mind because they are clean with a hint of Mid-Century style to play down the rustic feel of the wood. 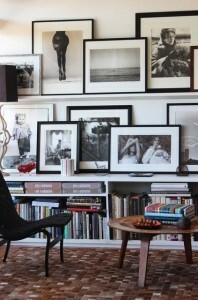 One being from West Elm (Alexa-as seen in the first photo) and the other, Living Spaces (Kai-2nd photo). Both of these styles are reasonably priced and pair well with a variety of linen choices. Another trend that continues to grow is the upholstered bed. 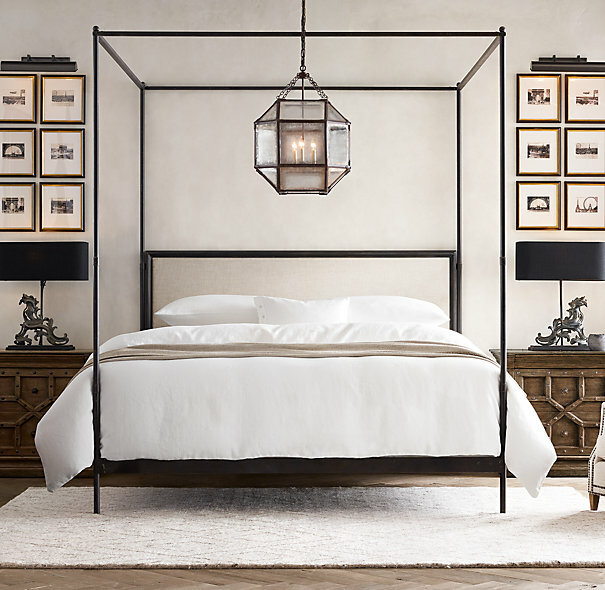 If one desires to be wrapped in fabric from head to foot and tufted flawlessly, the Churchill bed in Belgian Linen from Restoration Hardware is the answer. 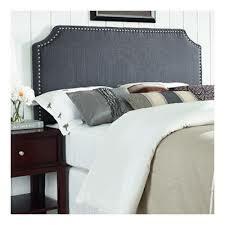 Or, add a bit of flair with a nailhead dotted headboard. 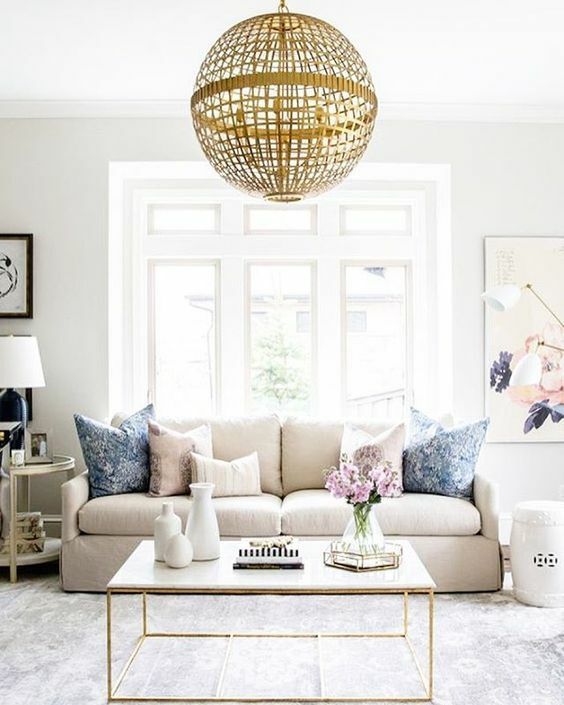 This look is very flexible ranging from traditional, beachy, and even industrial. 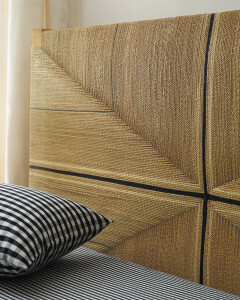 The Luna Nail Trim Headboard from Allmodern.com is not only beautiful, it’s also a steal of a price! 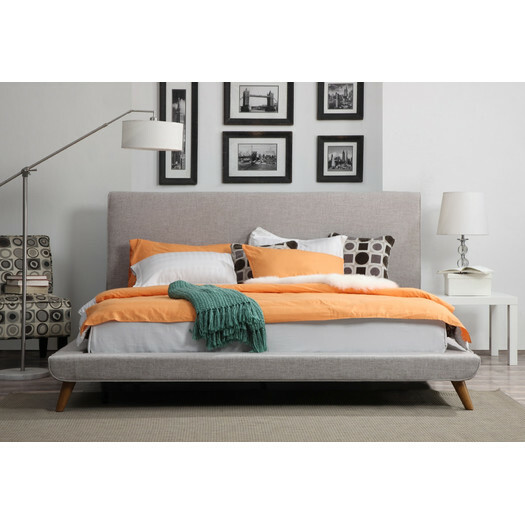 For a modern, no fuss-no muss, upholstered linen bed, one can’t beat the Nixon Platform bed, also from Allmodern.com. It’s pure, with clean simple lines a true minimalist will love. 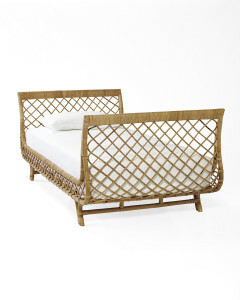 Think outside of the box with Serena and Lily’s Carson Bed. 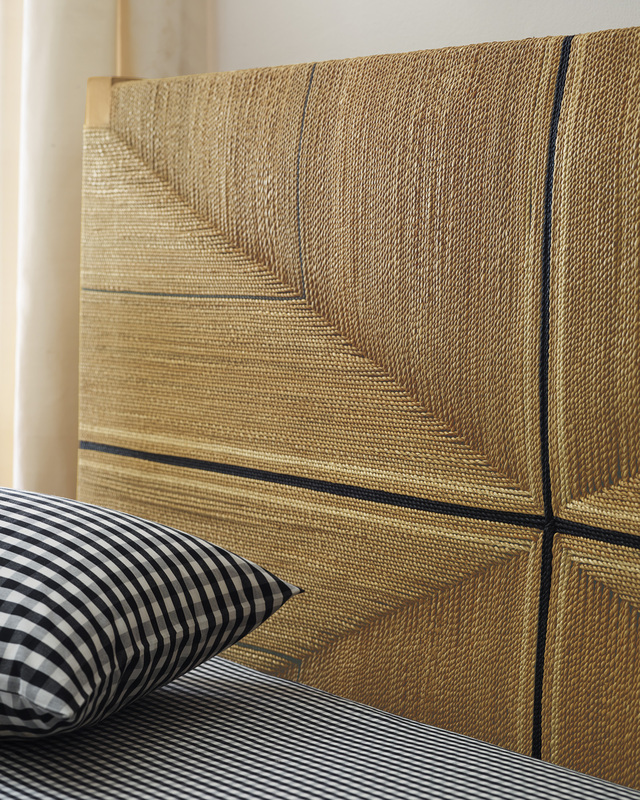 At about – $2500 this bed brings on the texture in a fresh way. 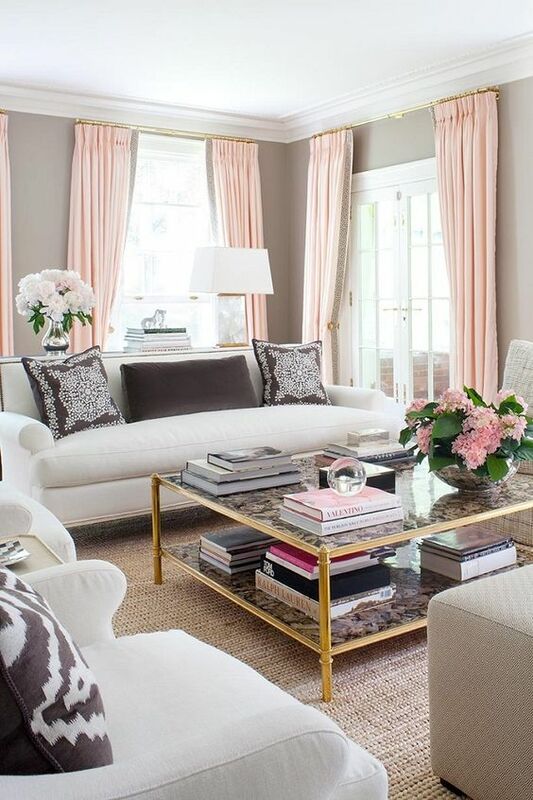 Beautifully crafted strips of abaca (some dyed black, some bleached), create interesting lines in mellow tones to add texture, while still showing off your linens. 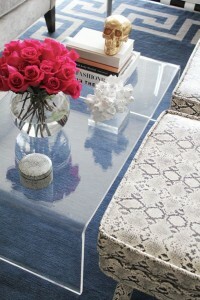 Uber cool day-beds are a hot trend that we love at Jigsaw. Outside on the veranda, poolside, or in your cozy library there may not be a lot of sleeping on these beauties, but there is a lot of style…well, maybe sleep for that overnight guest after that stellar party . 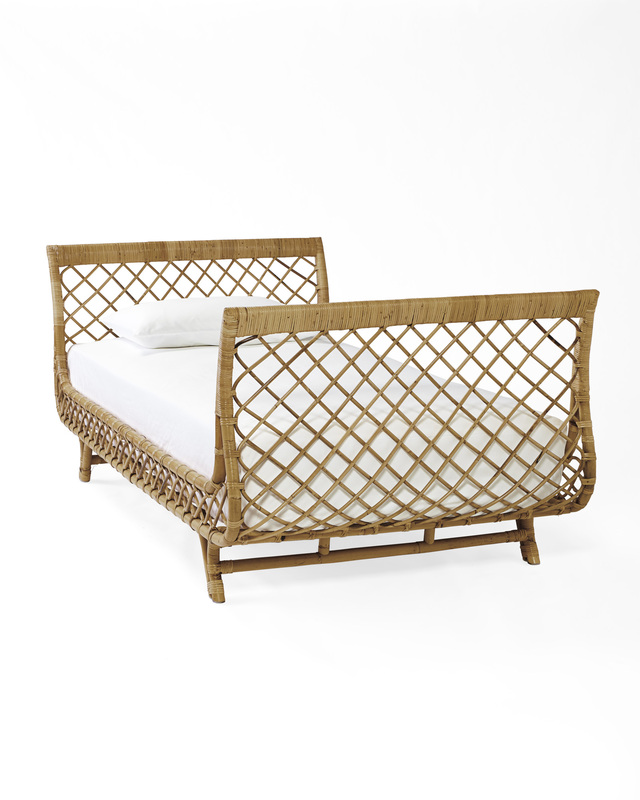 Featured here is Jonathan Adler’s Maxime day bed, and Serena and Lily’s Avalon Daybed in rattan, beach chic at its best. Let us know the dreamy bed you’ve been dreaming of and we may just add it to the post. 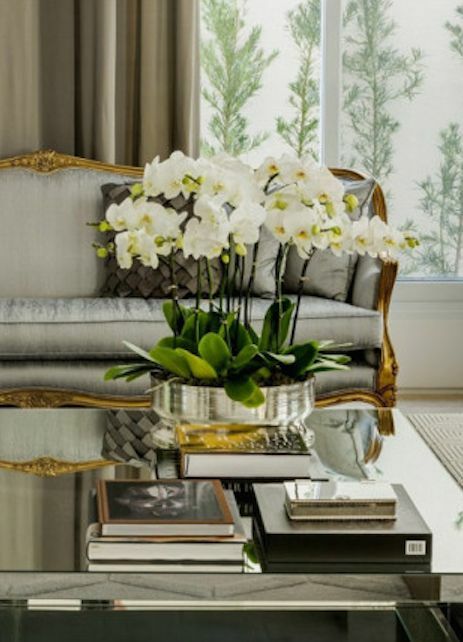 Be sure to send your comments and any questions on styles or images featured in this blogs. Don’t forget to subscribe to the blog, like us on Facebook, and follow us on google+!